I am Looking to purchase a tool for ultra dot sight battery cover windage and elevation adjustment. bought one awhile back can’t find where I purchase it. Does anyone know who makes them now. 10 for a $1 at any retailer. A penny actually works better but they are harder to see in my box. Also a rim of a .38 Special or a 45acp works too. $12.00 delivered!!! UD recommends a US Nickel. Half the price of dronnings suggested Dime! Save where you can. Dime does seem to work better for me. I use a nickel. A dime is too thin. 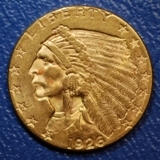 1926 $2 1/2 Gold Piece will work nicely, and you'll look good using it! 3/8" drive should be good if the cap is really stuck on. Ok for use with pneumatic tools! Olde Pilot wrote: $12.00 delivered!!! UD recommends a US Nickel. Half the price of dronnings suggested Dime! Save where you can. Dime does seem to work better for me. Then you can buy a small screwdriver for the windage and elevation adjustments with the savings! Dime works for them too! I must be a cheapskate. I use a penny. Easier to grab then a dime and fits the windage/elevation better then a nickel. They really are good for something. LenV wrote: I must be a cheapskate. I use a penny. Easier to grab then a dime and fits the windage/elevation better then a nickel. They really are good for something. I think the $1 (loonie) or $2 (toonie) Canadian coin works best. They are larger and have nice sharp edges. Both fit the slot perfectly. Which works best, the older copper penny or the newer zinc alloy? Will an Indian head penny work? Toz35m wrote: I think the $1 (loonie) or $2 (toonie) Canadian coin works best. They are larger and have nice sharp edges. Both fit the slot perfectly. A knock out plug from an electrical box suitably filed smooth. Cheap and it sticks to the magnetic mag holder. A spot of yellow paint and I can even find it. Had to do a test... Sacagawea dollar is easy to hold and find but a little big for W/E. 15.00 Canadian Gold coin too small. 5 Kopeck coin too big. Mercury dime too thin. 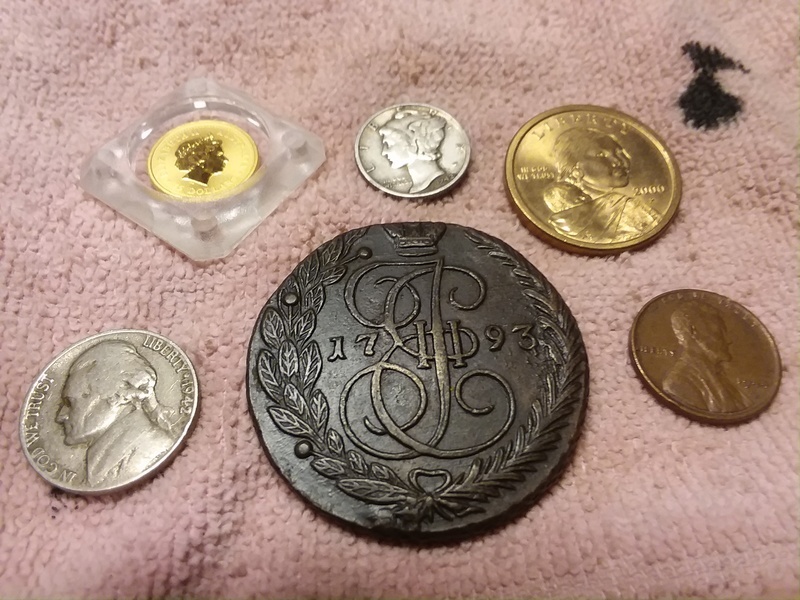 Old nickel and old pennies work but old pennies are dull and hard to find in box. So in conclusion bright shiny new penny works best and easiest/cheapest to find. I suppose I could throw old pennies in with the brass when tumbling. Na, too much like work. Still Winter here. Still bored.